India’s aspiration to make the country an all-electric vehicle market in the coming decade seemed to be a far cry, given the poor state of infrastructure to support growth of these vehicles, Volker Denner, chairman of Bosch Group, said on Wednesday. Denner, who is currently visiting India, said the country should rather go for the adoption of e-vehicles in a phased manner. “I think the infrastructure is far too short. To have e-vehicles in this time period, first you need to have electric grids and second, you have to build charging stations,” said Denner. He said adequate transition period should be given to the industry before a complete shift to e-vehicles. “We believe in electric future. But we are of the opinion that as an industry, we need adequate transfer period. So, there should be a balance in this shift for maintaining enough employment in the industry. If the shift is happening too fast, then this is of course going create a problem,” Denner said. Bosch, which is one of the leading players in internal combustion engine (ICE), said the firm had invested heavily into electric engines apart from upgrading its ICE portfolio. 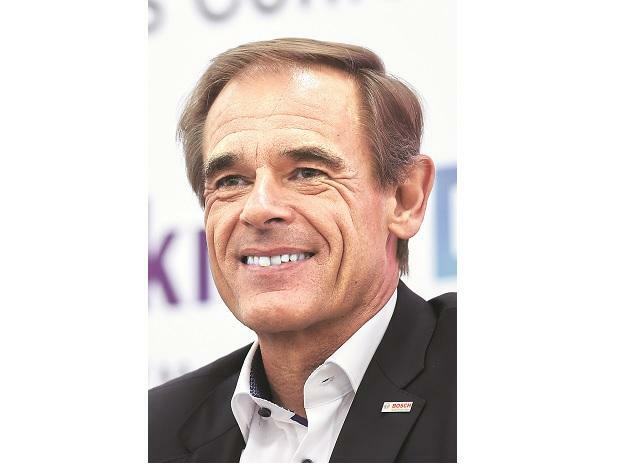 “Recently, we have showcased a diesel engine with new technology with lesser emissions,” the Bosch chairman said. Denner said India is one of the key markets and the company would invest Rs 17 billion (220 million pounds) over the next three years to meet its rising demand. “A major portion of this investment will be used in expanding Bosch smart campus in Bengaluru apart from modernising other facilities,” Denner said. In the technology segment, the engineering major said its new business division named ‘Connected Mobility Solution’ is working on various initiatives. “This new business division will work to develop a global telematics platform, which will offer solutions such as vehicle sharing, ridesharing and connectivity-based services for car drivers,” the company said. Apart from these solutions, India is also one of the key locations for the company globally in terms of driving innovation in artificial intelligence space. In 2017, the company had invested 300 million pounds in its Bosch Centre for Artificial Intelligence, one of which is located in Bengaluru. The other two centres are in Sunnyvale (US) and Renningel (Germany). The company has set a target to make all its electric products IP-enabled by 2020. “We are a big IoT player and the Indian centre is driving these innovations for the company,” Denner added.